First started by PepsiCo in 2015, Rolling Remembrance is a 8,000+ mile long relay of an American flag from Seattle to New York to benefit the Children of Fallen Patriots Foundation. 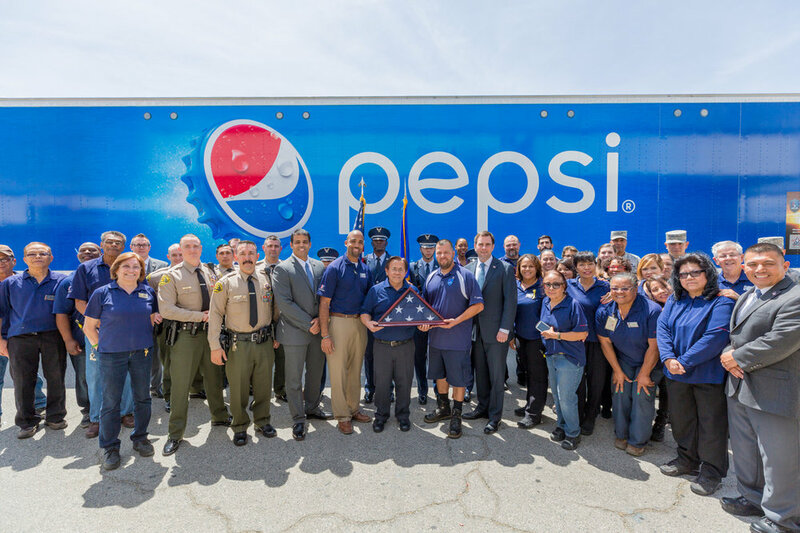 Using normal business routes, PepsiCo's extensive network of U.S. Military Veteran drivers will pass off a flag to each other at different relay points. The flag was on a UH-60M Blackhawk Helicopter on a combat mission in support of U.S. and Coalition ground forces in the Kandahar Province of Afghanistan during Operation Enduring Freedom in 2012. The Rolling Remembrance campaign occurs during April, Month of the Military Child and May, Military Appreciation Month. To date, PepsiCo has raised approximately $860,000 to provide college scholarships and educational counseling to military children who have lost a parent in the line of duty. The vision of Children of Fallen Patriots Foundation is to ensure that every such child receives all necessary college funding. We are dedicated to serving the families of combat casualties and military training accidents as well as other duty-related deaths. Approximately 20,000 children have lost an active duty parent in the military over the last 35 years. $500 million is needed to cover the gap between government assistance and the actual cost of a degree, with the average gap per child being $32,000 for a 4-year college degree.